Overview: Doctor_at_home is an application which will help you in the treatment of commonly found diseases like cough ,cold, fever etc. 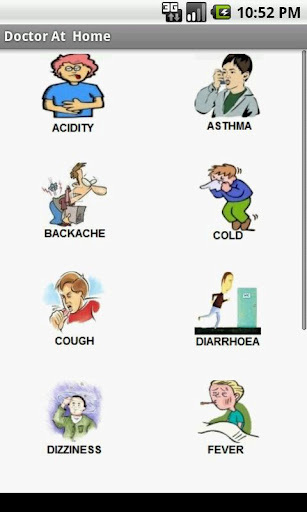 Doctor At Home-Your Homely Doctor..
Doctor_at_home is an application which will help you in the treatment of commonly found diseases like cough ,cold, fever etc. These diseases you can treat using easily available things at home like aamla,grapes,lemon,ginger etc. And this is what Doctor_at_home do. Best Home Remedies for you is just one click away. This application contains home remedies with picture of remedy. Download the application and know more about this Homely Doctor. NOTE-Please note that it is not intended to be used as the primary source for cure of disease.